Molecular Docking is an essential tool in drug discovery. The procedure for finding the best energy affinity between ligand-receptor molecules is a computationally expensive optimization process because of the roughness of the search space and the thousands of possible conformations of ligand. In this way, besides a realistic energy function to evaluate possible solutions, a robust search method must be applied to avoid local minimums. Recently, many algorithms have been proposed to solve the docking problem, mainly based on Evolutionary Strategies. However, the question remained unsolved and its needed the development of new and efficient techniques. 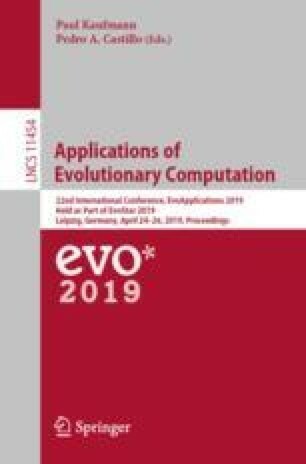 In this paper, we developed a Biased Random Key Genetic Algorithm, as global search procedure, hybridized with three variations of Hill-climbing and a Simulated Annealing version, as local search strategies. To evaluate the receptor-ligand binding affinity we used the Rosetta scoring function. The proposed approaches have been tested on a benchmark of protein-ligand complexes and compared to existing tools AUTODOCK VINA, DOCKTHOR, and jMETAL. A statistical test was performed on the results, and shown that the application of local search methods provides better solutions for the molecular docking problem. This work was supported by grants from FAPERGS [16/2551-0000520-6], MCT/CNPq [311022/2015-4; 311611/2018-4], CAPES-STIC AMSUD [88887.135130/2017-01] - Brazil, Alexander von Humboldt-Stiftung (AvH) [BRA 1190826 HFST CAPES-P] - Germany. This study was financed in part by the Coordenacão de Aperfei çoamento de Pessoal de Nível Superior - Brazil (CAPES) - Finance Code 001.